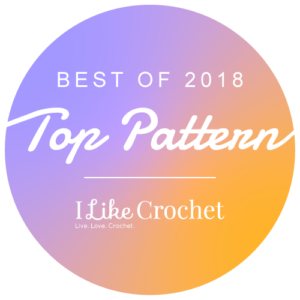 I have been quite a few questions lately about how to cut crochet. 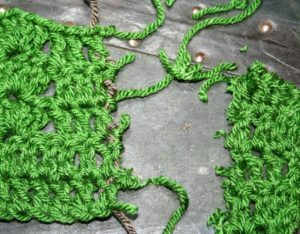 Granted it is not a simple process, but it is a skill you can acquire, with some simple understanding about your fabric. First what do you want to cut your fabric? Maybe the beginning chain is way too tight in comparison with the rest of the fabric, and you would love it fixed. 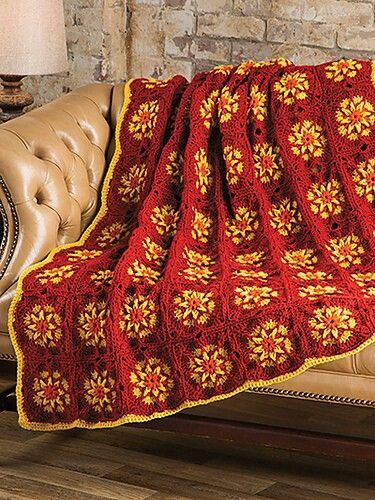 Maybe you made the something the wrong size, an afghan you made to wide, a sweater you made too long. The reasons can be vast. 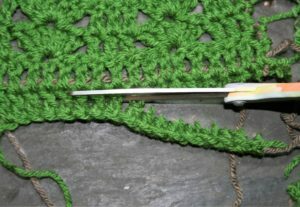 To begin with cutting crochet fabric is unique and different almost every time you do it. 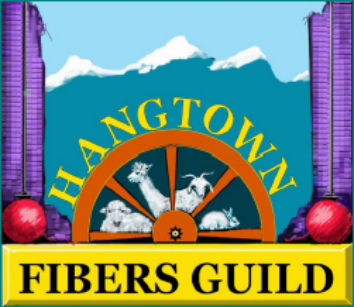 The approaches to cutting across rows for fabric (horizontally) and cutting through stitches (vertically) might be similar, but horizontally is a bit easier. So let’s start there. 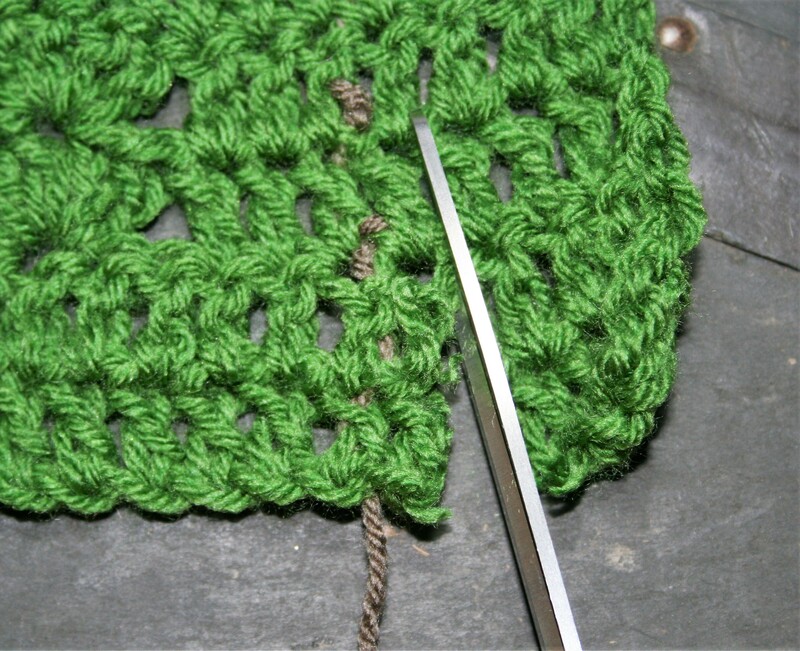 Before cutting through a row of stitches you want to run a thread through the bases or “feet” or the stitches that are being worked into the row to be cut. This thread will help prevent the fabric from unraveling. Once the thread is in place, cut the row off. Now remove all the excess yarn bits. 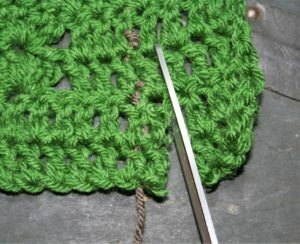 You should have crochet stitches that are now worked on a thread. 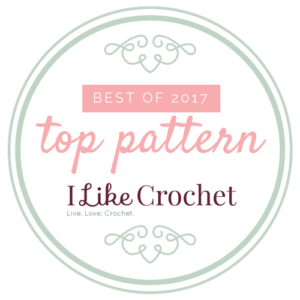 It is relatively simple to finish this fabric off by a new fabric to the base of the stitches on the thread and crochet into the “bottoms” of each stitch. 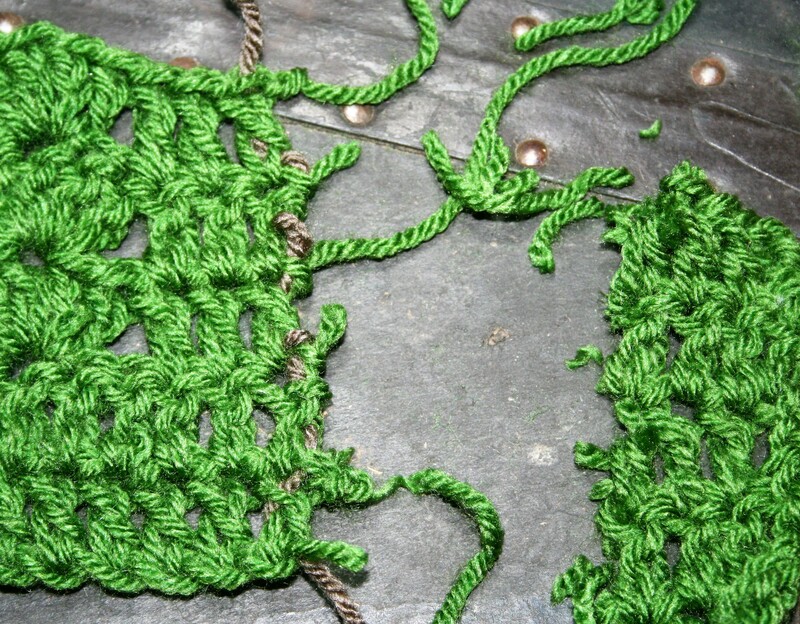 Once all the stitches are worked into, you can remove the thread. 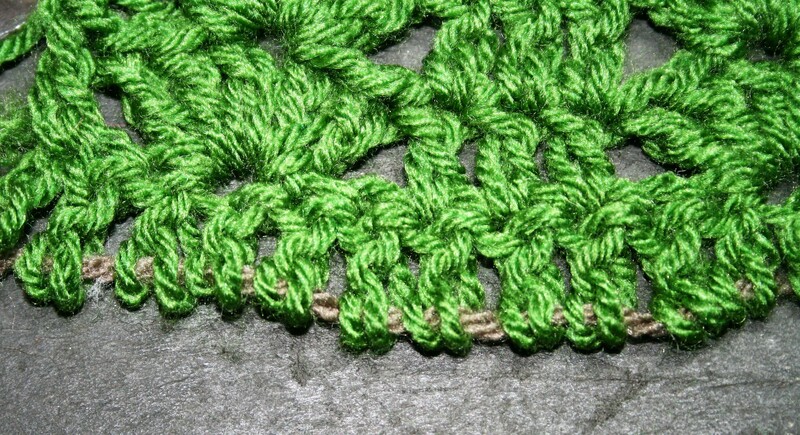 To cut vertically in the fabric, the approach is similar to run a thread through the stitches adjacent to those being cut, but it can be more difficult to ensure that each loop that encompass a stitch is secure in this process, so I add an extra stitch. After running a thread through the stitches, you can cut the fabric (note, if you want to save both sides of the fabric from the cut you will need to run a thread on either side of the cut to ensure that neither piece of fabric unravels). 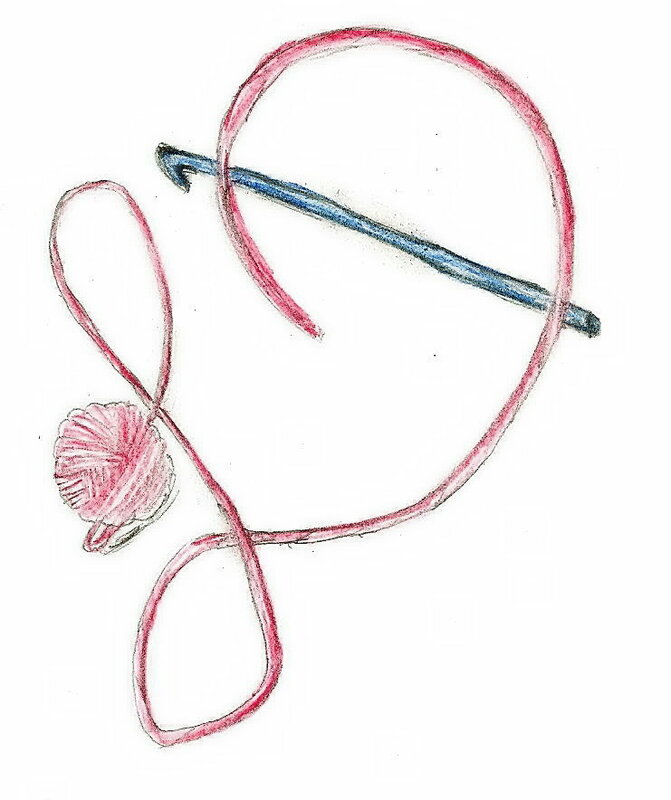 Once the fabric is cut, gently remove the excess yarn form the fabric at the cut, being careful to watch each row and ensure that no yarn is unraveling past your thread. 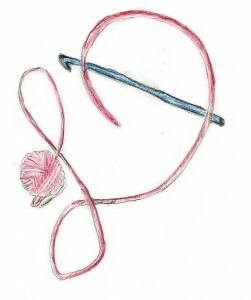 If it is, as you have missed a loop, place a removable stitch marker in the “uncaught” loop. This removable stitch marker can be as simple as a paper clip. 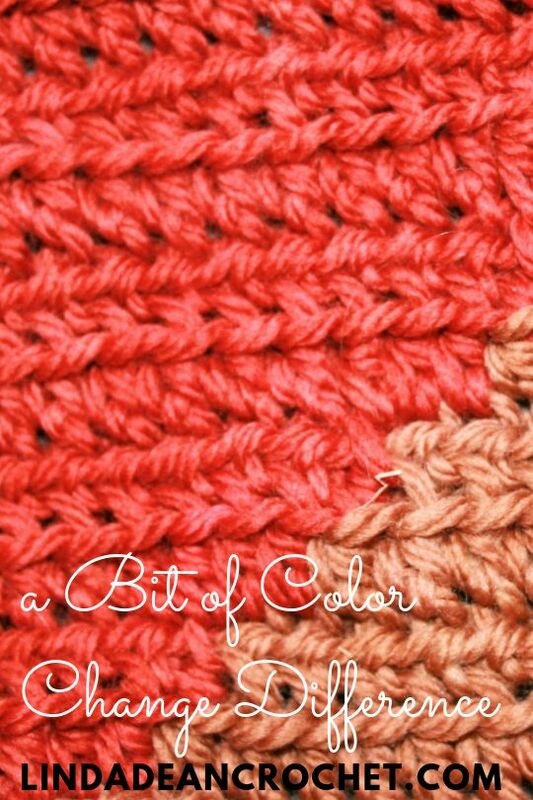 After removing the excess yarn and determining unsecured loops on the edge you will need to join with yarn and crochet over the edge, making sure to incorporate the unsecured loops into the new stitches you are creating. 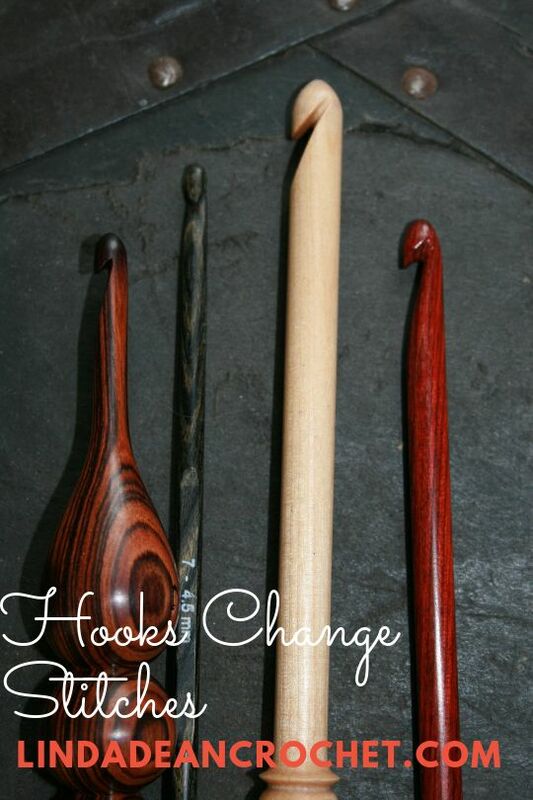 This will assist in preventing them from unraveling. 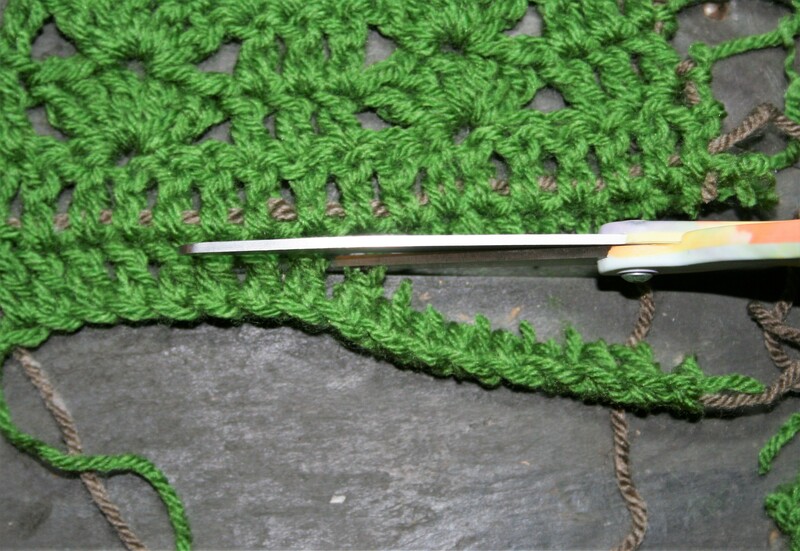 After you have successfully crocheted the edge you can remove the thread. 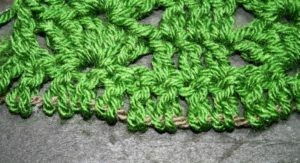 You may find that the edge still looks a bit shaggy, so you may have to weave in assorted ends throughout the edge to ensure a tidy finish.